You’re on a mission to claim back the physique you once had. Your gym sessions are going well and the first few weeks of the diet have seen you drop fat and build some decent muscle. On the journey to a better body, you’re definitely winning. 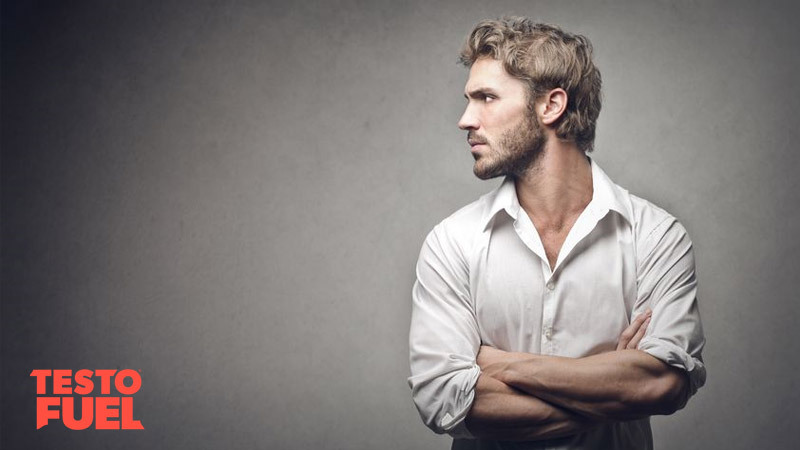 But it’s time to kick it up a gear by focusing on the foods that will best boost your testosterone – after all, as the king of male hormones it’ll make all the difference. Could pineapple be the healthy food you’re after? Could this fruit really boost your testosterone levels? 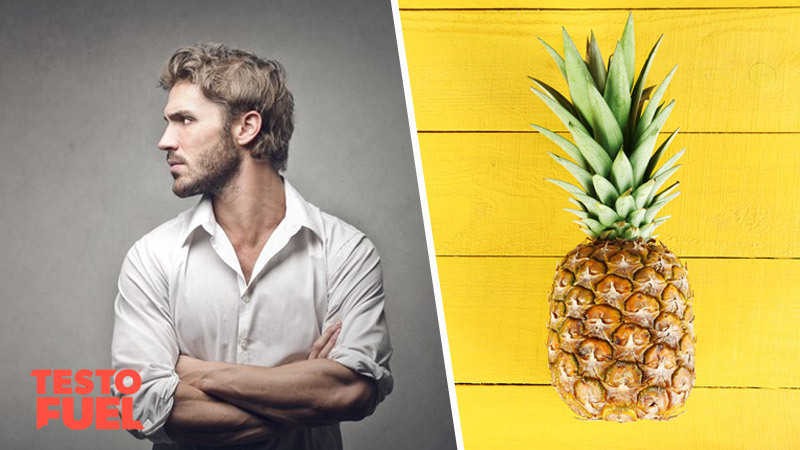 Is there a link between pineapple and testosterone? Pineapple is a tropical fruit found throughout South and Central America. It’s name derives from it’s similarity to pine cones and was named by European settlers in the fifteenth century. By the seventeenth century it started to become more widely available, not just to the members of royal families and nobility who’d enjoyed it as a luxury food for previous two hundred years. As one of the most popular fruits in the west, pineapple is characterized by it’s tough, spiky skin and sharp, waxy leaves. But once you crack open its exterior you’re rewarded with a vibrant yellow flesh that tastes of sweet citrus. Pineapple can be eaten fresh as part of a fruit salad, juiced to make a refreshing drink, or cooked as part of a savory dish such as on grilled burgers and pizza. They also make up the base of many different cocktails too. Like most fruits, pineapple is full of vitamins, minerals and nutrients. As a low-calorie snack, the fruit is high in water, carbs and vitamin C. It provides a modest amount of vitamin B6 and B1, as well as the minerals zinc, potassium, mangenese, magnesium and calcium. You’ll also find the enzyme bromelain in the fruit too – in the flesh and in the stem. You’ll also find soluble and insoluble fiber, folate and beta-carotene in pineapple too. All-in-all, pineapple is a versatile and nutritious food that provides you with a range of health-giving nutrients. Key Point: Pineapple is a sweet, juicy fruit high in vitamins, minerals and bioactive nutrients. Fruit and vegetable consumption has long been thought to contribute to a healthy lifestyle. Any foods that are high in nutrients and low in calories will promote health, vitality and wellness. As a protein-digesting enzyme found abundantly in pineapple, bromelain has been seen to reduce both muscle soreness and inflammatory markers in the blood. For example, one study found that in a group of healthy adults suffering from knee pain, as little as 200 mg of bromelain improved well-being and reduced symptoms of pain . And in a group of volunteers who didn’t weight train, 300 mg of bromelain was found to help reduce muscle soreness – but only by a small amount . Bromelain has also been found to reduce the inflammation associated with asthma and other inflammatory lung disorders and may be an effective preventative nutrient. Your immune system fights off infections, repairs damage and protects your body against bacteria and pathogens. It’s particularly important when you’re hitting the gym as periods of intense exercise can slash how effective your immune system works. Vitamin C has long been thought to prevent and treat the common cold and act as a prophylactic in the treatment of a range of immune disorders . Pineapple provides you with nearly 80% of your daily recommended amount of vitamin C so it’s easy to see why this fruit is a potent immune system booster. And just when you thought that it was all down to the water-soluble vitamin content, bromelain has also been found to reduce symptoms and length of sinus and other upper respiratory tract infections too- when given to volunteers as 280 g of canned pineapple . The fiber content of pineapple is important for bulking out your waste, which in turn slows down digestive transit. This gives your gastric juices plenty of time to breakdown your food and extract the wonderful goodness from it. And the ability of bromelain to breakdown protein can also help the process too. A number of studies have found that pineapple can treat colitis , inflammatory bowel disease  and diarrhea  too. Could Pineapple Boost Testosterone Levels? When it comes to elevating testosterone, it’s a small selection of nutrients tin pineapple that have hormone-boosting power. Research suggests that giving both active and sedentary volunteers 10 mg of magnesium leads to an increase in both total and free testosterone . And in another study, the mineral was found to increase T bioavailablity and decrease the molecules that inhibit tissue take up, leading to more circulating testosterone in the blood . Because pineapple contains one serving of fresh pineapple contains 20 mg of magnesium it really does contribute towards your daily recommended amount. Elevate energy levels – better and longer exercise sessions. Studies show that zinc can increase testosterone levels and improve sperm count too . And other studies have found that 3 mg per kilogram of body weight is enough to preserve T levels during exhaustive exercise . Although there’s only a small amount of zinc in pineapple, it all adds up to hitting your daily allowance. Although not the most potent testosterone-boosting nutrient, bromelain has been found to offset a decrease in T associated with intense exercise. In one study, 1,000 mg per day of the proteolytic enzyme helped a group of cyclists who raced over a 6-day period maintain higher hormone levels than a placebo group . Traditionally, periods of intense exercise are found to hack away at androgen levels, so the introduction of bromelain was a useful intervention. And with two slices of pineapple containing 40 mg of the compound, it’s easy to get all of the bromelain you need from a large fruit salad or pineapple fruit juice rather than a supplement. Pineapple is rich in testosterone-boosting nutrients and contains a number of health-giving vitamins and minerals. We suggest introducing this food into your diet. As part of a well-rounded, healthy diet, pineapple is a great food choice. How do you raise testosterone levels?